Compact workstation with eye-catching finish. The Korg Kross 61 SE, Neon Orange is a special edition version of the celebrated Korg Kross Synthesizer Workstation, featuring a bright orange neon finish and additional PCM content. The core EDS-I sound engine provides up with a wide range of premium-grade effects, up to 134 types in total. It also boasts superb sampling functionality, complete with 16 sampler pads for triggering one-shots, samples, loops and more. This special edition version comes complete with additional PCM content, including cutting-edge synth and drum sounds for EDM producers. The lightweight design combined with more than 1,000 built-in presets makes the Korg Kross SE perfect for studio, stage and even street performances. 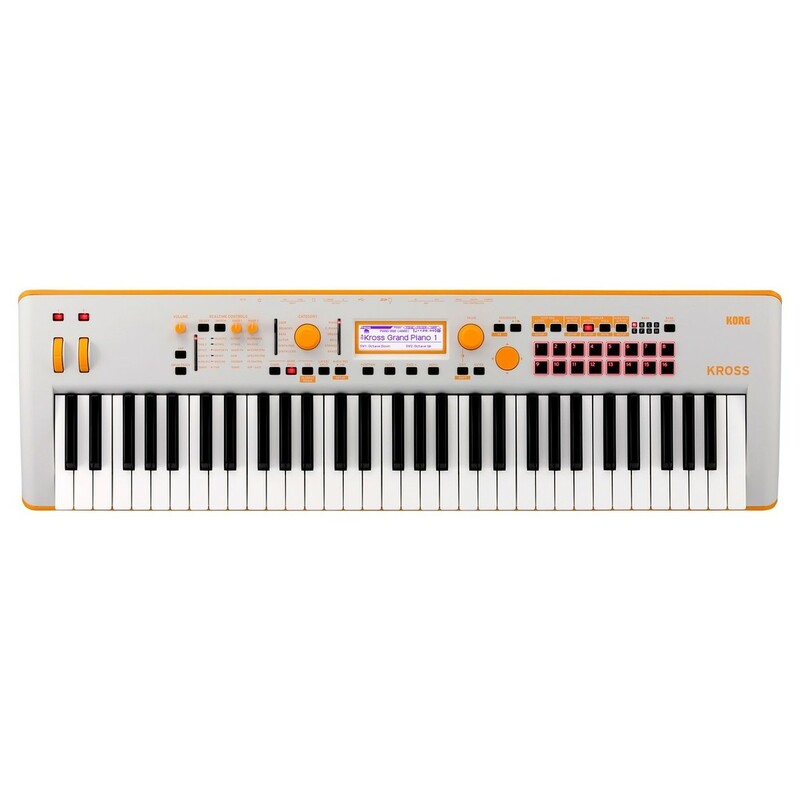 This special edition version of the Korg Kross 61 features a striking neon orange finish and brand new PCM content. The special editions feature exclusive PCM comprised of a special pre-installed piano and electric piano sounds. Also included are cutting-edge synth and drum sounds which are ideal for EDM producers, although the genre-defying sounds can be used for a variety of applications. 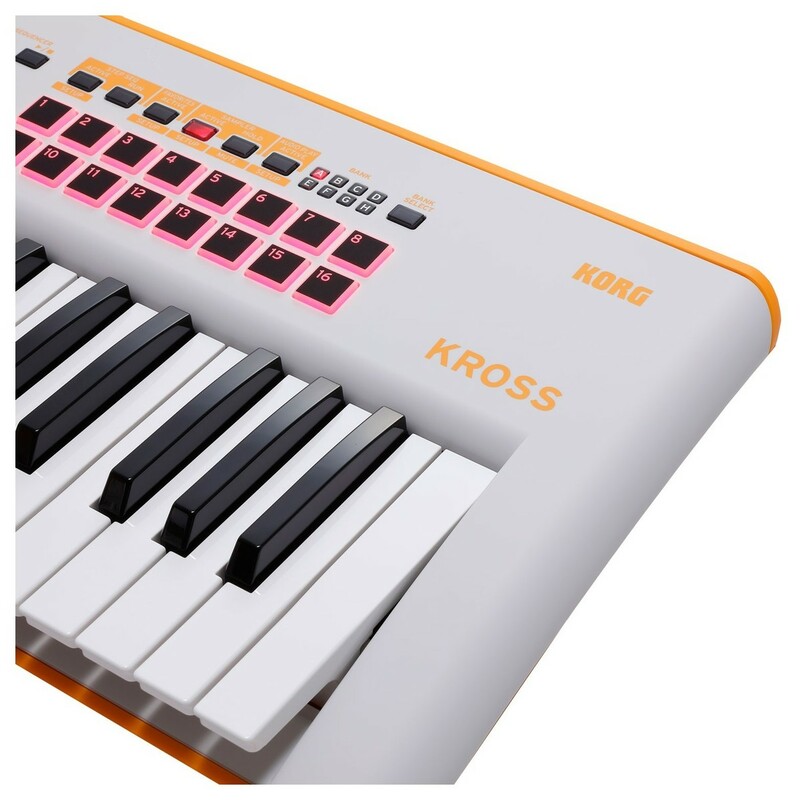 Building on the success of the original Korg Kross, this special edition version features a striking and unique neon finish. This is ideal for avid collectors and live players. The eye-catching finish will surely captivate your audience, making you stand out from any crowd. The lightweight design makes it perfect for studio, stage and even busking. The Korg Kross SE 61 Synthesizer workstation boasts over 1000 presets ranging from beautiful pianos, electric pianos, powerful drums, brass, elegant strings, church organs, synth sounds and much more to create melodies and music in whatever genre you please. You'll never be short of sounds for either studio production or live performances due to its wide range of content that accommodates a broad range of musical styles. In addition a number of effects are also included allowing you to be as creative as you want with them. The 61 keys are all velocity sensitive allowing you to give your sounds that human touch. Whilst still having the ability to connect via USB to your favourite DAW to run just like a software synthesizer, the Korg Kross SE Synthesizer Workstation is also made for portability allowing you to take it anywhere you go. The Synthesizer Workstation features 16 sample pads that can be loaded with your sounds and played as you like. Additionally, it features a mic connection that lets you connect a microphone directly for a vocalist or even for yourself whether you're wanting to go solo or perform a singer/instrumentalist duet. If you're wanting to replay a performance there is also a built-in stereo recorder that lets your record your performances on the Kross but also the sound of a mic or external input. Backing tracks that you have created can be played, or you can even overdub onto them to create songs and demos. With an SD card you can import and export audio WAV files making it super easy to exchange material between your computer and the Korg Kross. No need to worry about battery life as the new Korg Kross SE now lasts up to 7 hours, 2 hours longer than the previous model. The Korg Kross SE makes it easy to find the sounds you are looking for. Whilst the Korg Kross SE provides an extremely broad range of sounds there are two dials dedicated to let you easily find the sound you need. One dial takes care of the category dividing up sounds into instruments (piano, drums, bass etc.) whilst the other finds the sound you want in that category. The favourites function lets you easily recall up to 64 sounds that you've created or frequently used to four banks of 16 buttons. This is ideal for live players that want to easily switch between different sounds during a performance.